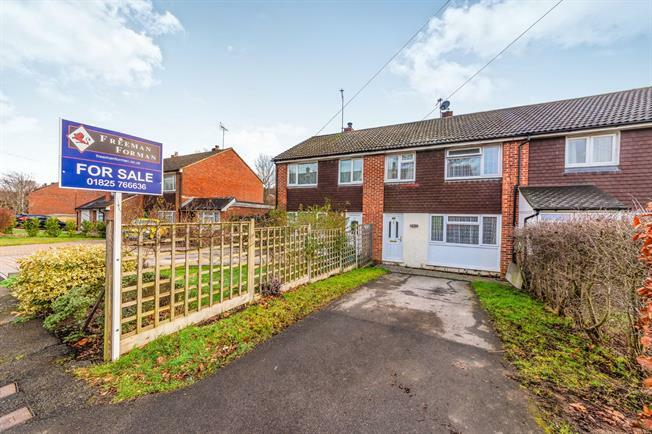 3 Bedroom Terraced House For Sale in Uckfield for Offers in excess of £270,000. This attractive three bedroom family home situated close to Uckfield town centre. Entrance hall through to spacious lounge and dining room with patio doors to the rear garden. Kitchen overlooking the garden. To the first floor there is master bedroom, second bedroom with build in wardrobes and a further good size third bedroom, family bathroom. Good size rear gardens and off street parking.